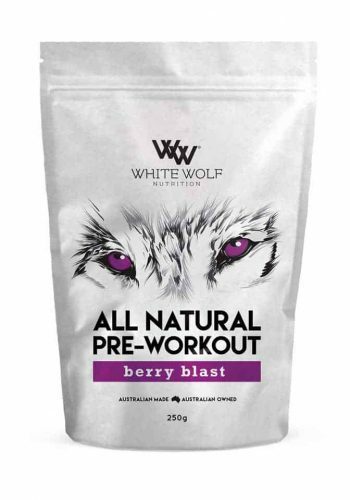 White Wolf Nutrition’s All Natural Pre-Workout has achieved the perfect balance of energy, focus and endurance without the ‘crash’ of other pre-workouts. 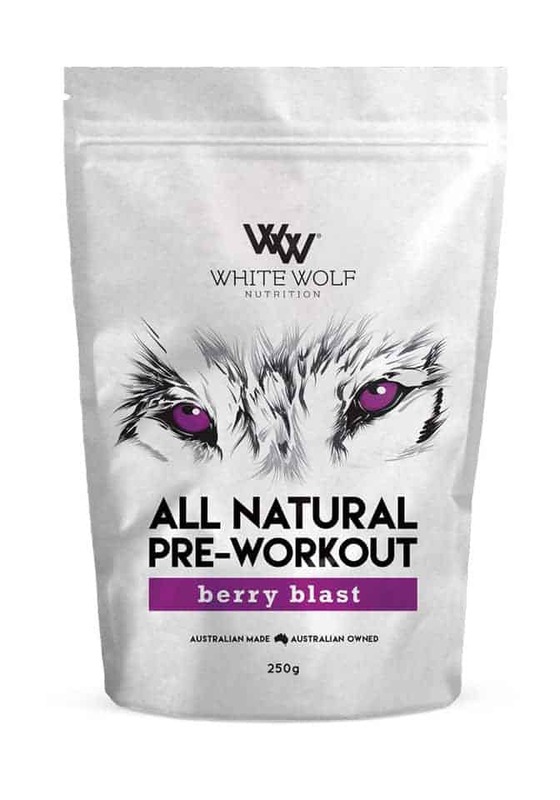 This scientifically formulated, all natural, pre-workout blend is free from any artificial colours, preservatives, flavours or sweeteners. Purchase this product now and earn 3,248 Points! Not only that but the ingredient list is designed to give you the perfect balance of energy, focus and endurance without the ‘crash’ of other pre-workouts. You will notice the product list below has a number of helpful ingredients for you to get to the next level. 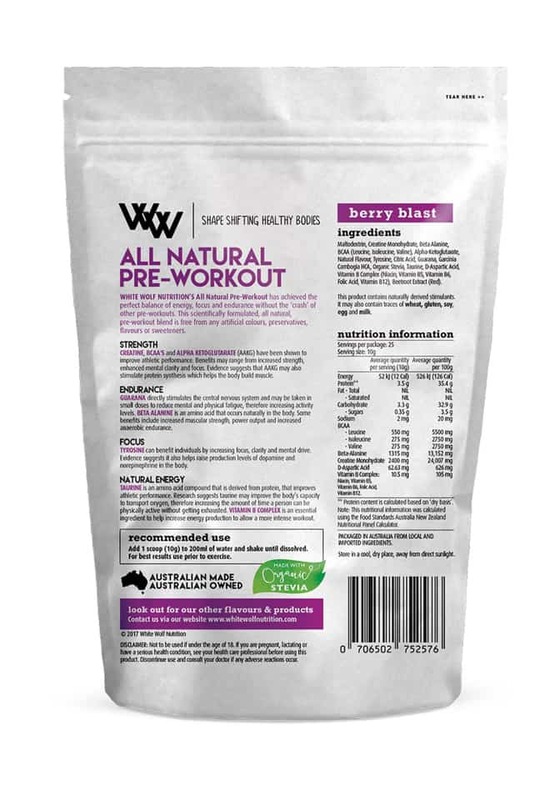 Vitamin B features in this All Natural Pre-workout and is an essential ingredient to help increase energy production to allow a more intense workout. 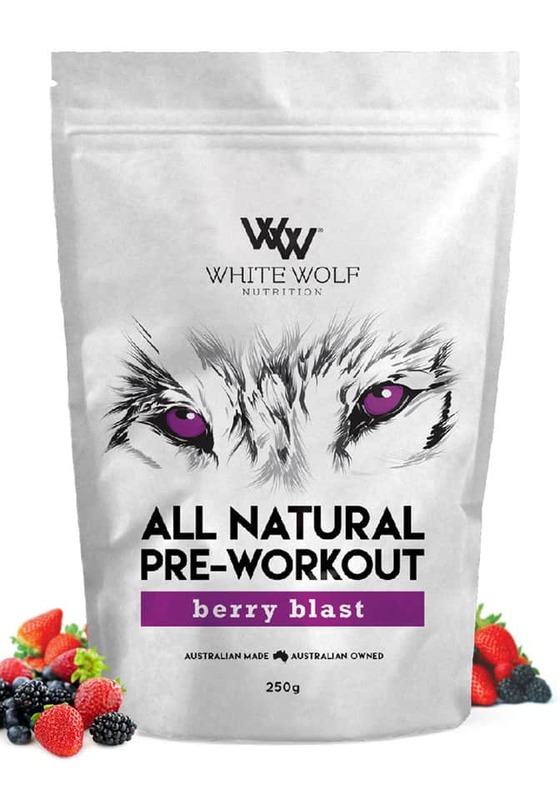 As you can see, the All Natural Preworkout in Berry blast flavour is designed to give you everything you need from a preworkout. Minus the crash. You will love the flavour and energy and focus you get in each gym session.